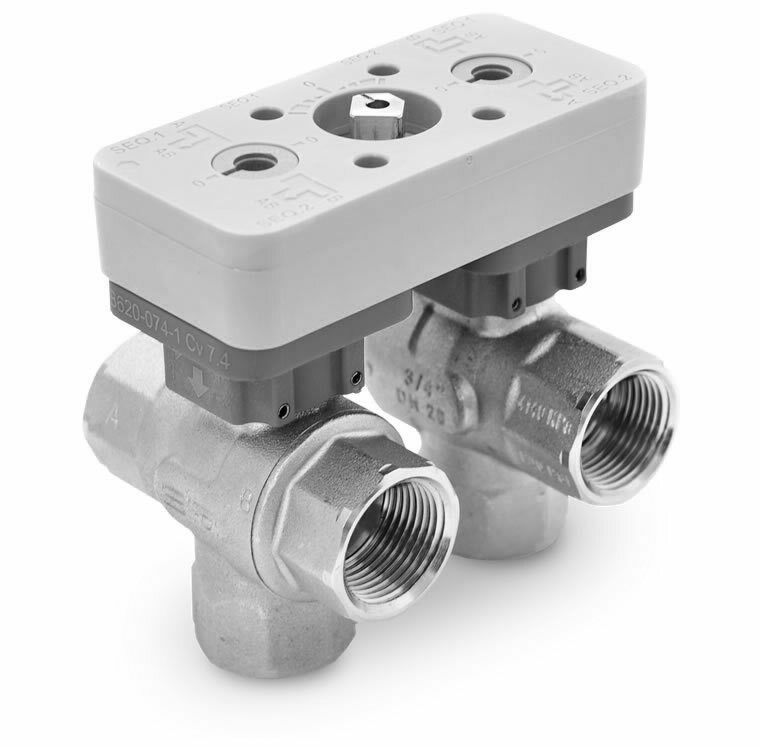 The Modular 6 Way valve (Mod 6) is ideal for chilled beam, fan coil, radiant heating and unit ventilator applications. Using a single actuator it reduces wiring and also eliminates the need of a change over valve, while enabling the use of a single coil for heating and cooling. The Modular 6 Way is available with a non fail-safe proportional (modulating) actuator. Modular 6 way valve is an electronically actuated characterized control ball valve. Control signal is modulating (proportional) non fail-safe and is used to determine the final positioning of both ball rotataion angles which determine sequence and amount of flow through the valve.